Circuit board is commonly known as printed circuit board or PCB. It is a mechanical and electrical component that encourages current movement through tracks, pathways or etch from copper sheets towards a substrate or non-conductive plank. Depending on the purpose and design they are called as etching wiring board, printed wiring board and printed circuit board assembly or printed circuit assembly. Circuit board was first introduced to military by an Austrian engineer, Paul Eisler in the year 1930s.He worked in England and made 1936 model to form set functions for radio. Later this was expanded and used by military of United States for war. At peacetime, the assembly process was modified by United States Army. They shared this with invention of Eisler for commercial purpose. The circuit board main frame provides no excess room by stripping away the series connected copper wires and this is main proposal for current flow in it. The circuit board was modified in 1980s for making them light weighted. To make this first miniature tabs were designed, soldered and then melted to fix all components in place. Complex wiring and insulating caps were eradicated completely in this process. Nowadays the circuit board looks different from original counterpart. Technological concepts were also added while designing the circuit board to assemble easier and lighter. Flexible circuit board was designed for that and it is flexible to fix in a position where as that is not possible for standard wire system. It is capable of withstanding high temperature in outer space. The circuit boards are used in spacecraft mission and satellite are made of rigid copper components and heats from sensitive equipment are deflected from cores. It provides protection for unpredictable weather where there is no existence of gravity. Without adding additional trace it is capable to feed power for variety of components, which is achieved by building a conductive layer. The circuit board which does not require soldering is known as breadboard and it is temporary type. These types are assembled by students when they do experiments and reuse them for other projects. It can be easily disassembled after use. Soldered and permanent type circuit board is Stripboard. In this components are fixed and mounted using lacquered board which are thin and have holes which are of single file arrangement. The old transistor radio is a example of this type. The sophisticated type is Printed Circuit board or PCB which are based on component and design. It is a soldered and permanent type. These are assembled using special equipment in sterile environment. 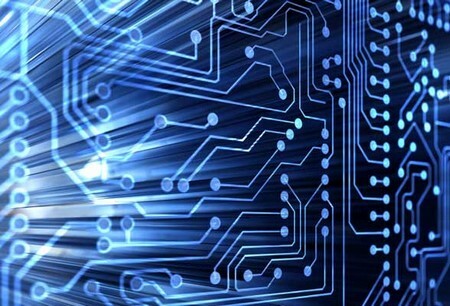 The digital gadgets that we use cannot be produced without using circuit board technology.